Latest news items from Neary are shown below. Click on a news headline for the full story, or use the page functions to view any previous articles. 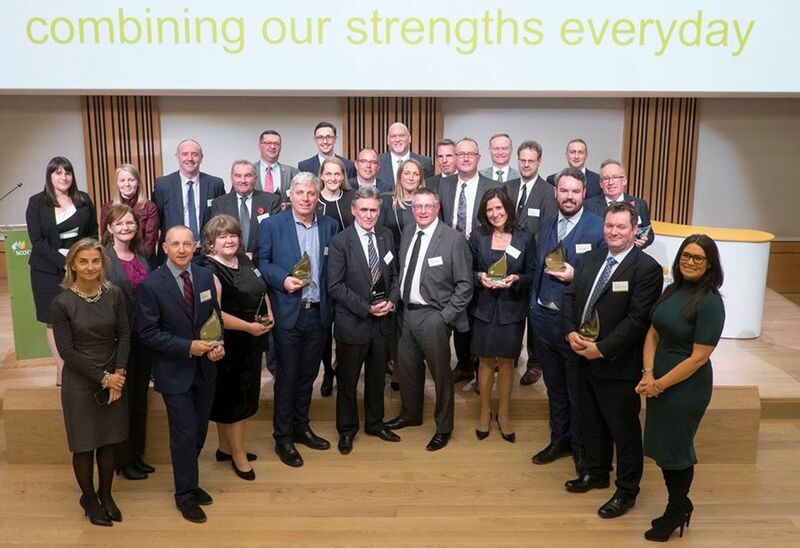 Neary Construction are the proud recipients of the Scottish Power Health and Safety Contractor of the Year award. Working on a number of large substation projects for Scottish Power in the past year has allowed Neary Construction to develop an excellent working relationship with our client, and deliver projects to the highest standards of quality and safety. Working with our sister company, A D Antrobus Electrical Contracting, Neary Rail are pleased to have secured a contract to upgrade the lighting at Bury Metrolink stop and install additional tactile pavings to the South end of the platform. Works are due to start on site in autumn 2016. Following the successful completion of brickwork repairs within the tidal Rufford Culvert near Ormskirk and the open cut replacement of a brick lined culvert at Hadfield last year, Neary Rail are pleased to have secured an order to install a UV liner to Field Gate Lane culvert near Coventry. The scope of works comprise vegetation and brickwork repairs to both head walls, the jetting and CCTV survey of the culvert, before a UV liner is installed and cured, with grout being pumped in to fill the annulus between the brickwork and liner. Neary Rail are pleased to have secured further works in Scotland with Telent and Linbrooke. The works for Linbrooke are to rod, rope and prove over 6000m of lineside buried duct in the Motherwell area. Neary Rail have secured 2 orders under our LNW Civils Framework to carry out intrusive hidden void investigation works at Cowburn Viaduct, near Edale and River Yarrow Viaduct near Chorley. The scope of works will involve EA/LA liaison, as both viaducts cross rivers, the provision of high level access, core drilling of the structures at predetermined locations, undertaking a CCTV survey of all core holes and making good of the structures on completion. Following our recent site audit by Network Rail at Linslade Tunnel, we are proud to announce that Neary Rail now hold a Full Principal Contractor Licence.Thanks must again go to the hard work and efforts of the project and safety team involved with Linslade Tunnel.